Gorgeous! With a sense of atmosphere and style newly renovated light and modern apartment with two bedrooms on the ground floor with lovely sunny garden on the South-East and detached shed. 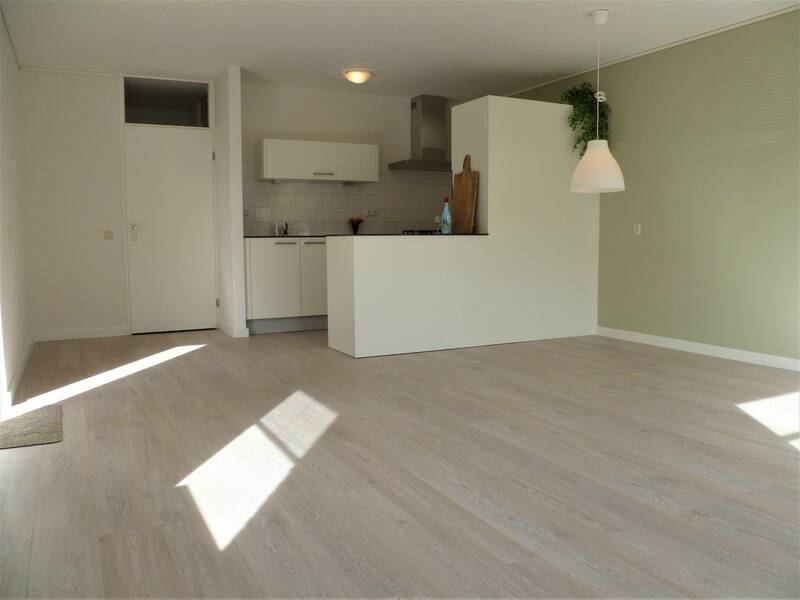 In the popular district, Bleacher Vaart Quarter, a quiet leafy residential area situated in the center of Heemstede. Centrally located relative to the cozy shopping center, supermarket Albert Heijn XL and public transport; buses and trains and near the roads to Haarlem, Zandvoort beach, Amsterdam and Schiphol But The Hague and the bulb. From the living room access to the maintenance and sunny garden in the southeast with morning and afternoon sun. 2nd bedroom, bathroom with shower, sink, drawer and mirror cabinet. Through the living room if you have access to the detached stone mountains with electricity through the garden. - Rent excluding G / W / E and TV Internet and local charges. - Completely remodeled, all new o.a modern new kitchen! - The house is energy efficient, o.a HR double glazing, Led lights and new boiler. - Train station Heemstede-Aerdenhout is a 10-minute bike ride away. - Owner has right of refusal. In short: Carefree enjoy beautifully renovated 3-bedroom ground floor apartment with private garden and with all amenities such as shops and public transport around the corner!